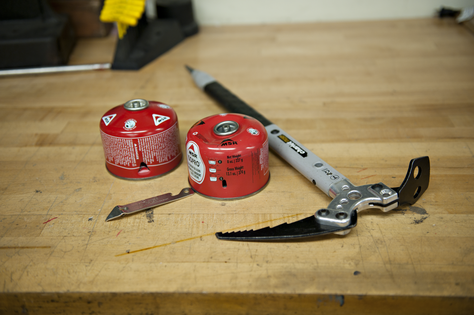 Learn more about how to recycle your empty isopro-style fuel canisters at The Mountaineers Seattle Program Center through a new partnership with MSR! The Mountaineers is excited to announce that, in partnership with MSR, we are now accepting empty fuel canisters for recycling at our Seattle Program Center! Help us keep more fuel canisters out of the landfill! 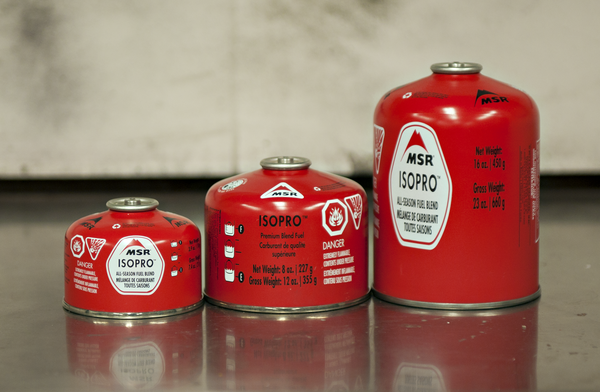 Empty isopro-style fuel canisters (any brand) can be dropped off in our office during regular business hours. We're open 9am-5pm on Monday, Tuesday, Thursday, and Friday, and we're open 9am-7pm on Wednesdays. Holiday closings and additional extended hours for the bookstore can be found here. Please note that, unfortunately, we are unable to accept the green Coleman-style propane canisters for recycling. If you are a Recology CleanScapes residential recycling customer in the greater Seattle area, you can drop these small propane canisters off at a Recology store for free (non-customers can drop off for a small fee). More information can be found here. How do I check if my fuel canister is empty? First, burn off any excess fuel--make sure to run your stove until the flame goes out completely (it's better to burn the hydrocarbons than to simply release them into the atmosphere). 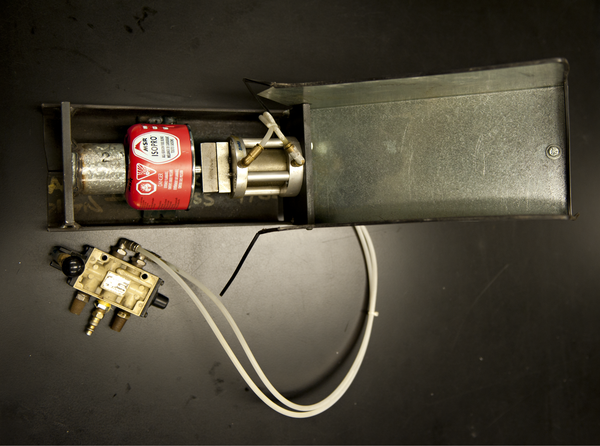 Next, to purge any remaining fuel, either use a specialty tool to vent any remaining fuel, or attach a stove to the canister, invert it, and open the valve. Be sure to do this step away from any sources of sparks or flames. Alternatively, you can weigh your canister on a digital scale and compare the weight to the printed weight on the canister (gross weight - net weight = weight of empty canister). You do not have to puncture your empty fuel canisters before dropping them off with us, but if you want to do so, go right ahead. MSR has a specialized machine they use to puncture canisters for recycling and they're happy to puncture any empty, intact canisters that we take to their Repair Shop for recycling. Can't i just put these in my Household curbside recycling? Maybe -- it depends on where you live. In the city of Seattle, according to Seattle Public Utilities, fuel canisters are treated as hazardous waste and go to the landfill, even if they are empty and punctured. Before putting your empty fuel canisters in curbside recycling, be sure to check with your local recycler to find out what their policy is on recycling fuel canisters. What are we doing with the empty canisters? Mountaineers Program Center staff will periodically drop the canisters off at MSR's Repair Shop, located at 130 South Dakota Street in Seattle. MSR has partnered with a recycler to ensure these canisters will be properly recycled. You can read more about their effort here. We'll be tracking the number of canisters The Mountaineers is helping keep out of the landfill, and look forward to your support in this effort! special Thanks to Brandon Bills and Iris diligencia of MSR for their support on this project, and for the use of the images in this post. Yes!! I am so glad you are doing this. Thank you! Thank you to the Seattle Program Center and MSR. This is great news. Woah, cool! Thanks for this info, Bridget! I'll pass it along. Would it be possible to have a collection box somewhere around the center (maybe even outside under the roof?) so that canister collection is not constrained by your office hours? Hi Peter - because we are dealing with fuel canisters, and we want this process to be as safe as possible for everyone involved, we're opting to restrict canister collection to our bookstore hours so that staff can ensure that we're taking in only empty isopro-style canisters (and not whatever items someone chooses to toss in an unattended bin outside our building). We recognize our location and hours may not work for everyone's schedules, and hope that in the future, more businesses and organizations will start collecting items like this for recycling! Be sure to check out our bookstore hours page, as we do often have extended hours for events, and we're always open until 7pm on Wednesday evenings.